It is a disease of the teeth that involves the molar teeth, particularly its tooth and pulp chamber. This was a common tooth condition during the times of early humans and still continue to affect Eskimos of present times; thus the common association of the disorder with selective adaptation. The word “Taurodontism” was coined from the Greek term “tauros” which literally means bull and the term “odontos” which means tooth. This term perfectly depicts the condition, as first manifested in the case of a 70,000 year old pre-Neanderthal fossil discovered by Gorjanovic-Kramberger in 1908. Hypo tyrodont – It exhibits mild traits of Taurodontism. Meso tyrodont – It is marked by moderate characteristics of the syndrome. Hyper tyrodont – It is characterized by severe traits of the disorder. Children suffering from this condition have teeth roots that grow crookedly with very huge teeth, likened to a bull. In an X-ray machine, its roots look like the horns of a bull. 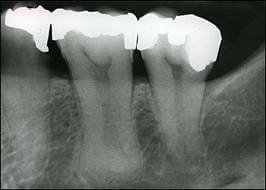 The condition is exhibited by vertically enlarged pulp chamber and tooth that cause complications in the root area of the tooth. This results in an apically downward sloping floor of the pulp and furcating of the tooth. The condition affects less than 200,000 individuals or 1 out of every 2000 people in the United States. The Office of Rare Diseases (ORD), supervised by the National Institutes of Health, lists this as a rare disorder. This is an x-link disorder that shows malformations of the face, digits with the polycystic kidney disease, and oral cavity distortions. This is rare yet fatal metabolic bone disease characterized by a rapid perinatal variant and progressive osteomalacia. This is a genetic disease that affects the ectodermal structures of the body like the hair, the teeth, the nails, the sweat glands, and the cranial-facial structure. This is a condition that is triggered by an abnormality with the Trisomy 21 chromosome. Features of this condition include the prevalence of facial and dental distortions together with impaired cognitive ability and physical growth. This is a developmental disorder associated with mild to moderate mental retardation, sleep disturbances, distinctive facial features, and behavioral problems. Almost all of the aforementioned associated conditions reveal genetic abnormalities. The health community is doing its best to understand the significance of genes in the make-up of an individual. As of now, patients have to make do with their dentist’s advice to find relief from possible discomfort and pain that they may experience due to this condition. Taurodontism is an extreme challenge for doctors who provide dental treatment. The complexity of the root canal anatomy and its proximity to the buccal orifices for the complete filling of the root canal system is a very challenging feat to fulfill. 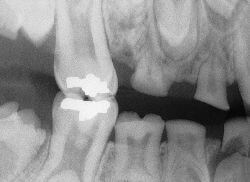 Nevertheless, dentists have devised a modified filling technique to proceed with the treatment comprised of lateral compaction in the apical region followed by vertical compaction on the elongated pulp chamber. This has been the most prominent proposal of many dentists, but its approval remains on the discretion of the dentist-in-charge and the patient. Today, dentists are making use of high-end diagnostic imaging modalities that can better assess the root anatomy of a person with Taurodontism. This helps confirm the multiple morphologic abnormality of the tooth like the pyramidal cusps, the dens invaginatus, and the dens evaginatus. Suggestion of surgical operation for the extraction of a taurodont is more complicated. There appears to be a shift in the furcation of apical third plus the possibility of having a large body that has very little surface embedded in the alveolus of the tooth. Since the roots are not very divergent, the extraction would be more difficult to perform. This would not be a problem if the teeth show widely divergent roots. However, dentists still hesitate to proceed with this task because of the possible apical shift of furcation that may pose problems like difficulty in the places of forceps breaks. The only other option left is to use surgical tooth elevators during the extraction. For the safety of the patient, dentists recommend post placement rather than tooth reconstruction. This is ideal because of the less surface area displayed by the tooth as embedded in the alveolus. Gingivial recession and periodontal pocketing is prevalent in Taurodontism. This is more intriguing because periodontal destruction happens even before the furcation involvement occurs. As a result, any general dental practitioner is highly recommended to gain familiarity with this condition before conducting any treatment procedures to the patient. If it is beyond their knowledge and expertise, then it is best left with a more skilled dental surgeon to avoid unwanted complications to arise in the future. Dentists usually recommend any of the following treatment options to patients who request for their assistance regarding this condition. Tooth furcation may be located more apically, yet qualified dental practitioners have a way of proceeding with this type of treatment. However, it is necessary for them to undergo a thorough assessment of the root formation of the tooth to see the best strategy to use for its extraction. This is defined as the breakdown, destruction, and eventual loss of the tooth’s root structure. This is typical with taurodont because of their shorter thinner roots. Unfortunately, fixed appliance orthodontic treatment results to worsened root resorption of the taurodont molars. It is triggered by many factors including age, medical history, tooth impaction, trauma, and unexpected morphology of the apical third of your tooth’s root. It has to be carefully analyzed by the dentist because carrying out any treatment may be futile for the safety of the entire tooth. It requires informed consent from the patient even before the treatment process, because of the complexity of the procedure. The distorted morphology of the taurodont molars results in totally reduced roots. This results in an affected anchorage. It has to be addressed before any orthodontic treatment can be made. Some dentists may recommend the use of head gear to help reinforce anchorage on the teeth. Despite this, other complications may pose a problem in future. Dentists have declined requests to pursue restorative management for Taurodontism because of the extensively compromise crown of the tooth. Before it can be accomplished, an extensively restored coronal structure has to be set-up to act in full support of the full coverage of the crown. As of now, there is no potent treatment for this condition and prevention seems impossible to attain because it affects the genetic structure of an individual. In any case, patients suffering from this condition should adhere to the guidance of their dentist. They should also practice good oral hygiene and regular visit their dentists for teeth cleaning. Maintaining clean and well-maintained teeth may be your only defense for discomforts brought about by Taurodontism.